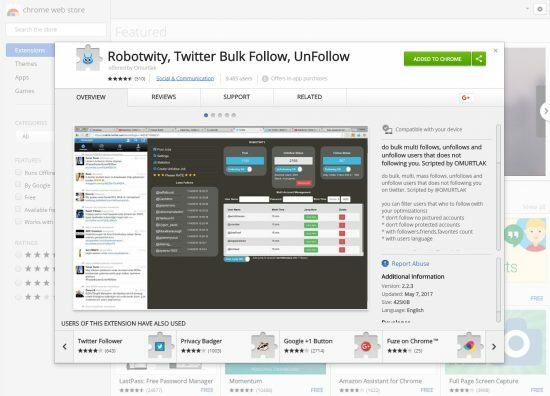 Tested a Google Chrome extension called “Robotwity, Twitter Bulk Follow, UnFollow”. 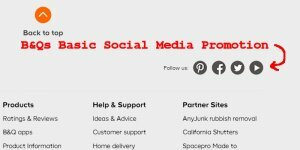 As the name suggests it’s a social media marketing tool for automating Twitter following/unfollow. 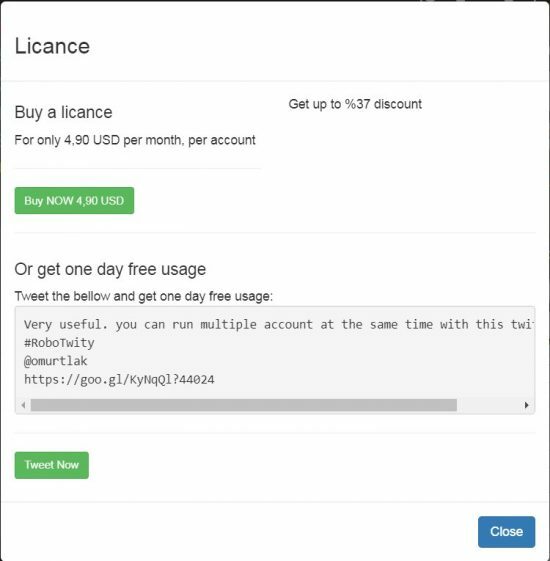 At first I thought it was a free Twitter extension, but it became clear it’s a 5 day free trial after which you have to pay around $5 per Twitter account managed by Robotwity. Only indication of it’s a paid extension starting as trialware is a short notice on the install page: “Offers in-app purchases”. I found the lack of a notice it’s trialware really annoying, I don’t mind trialware, but I expect to be informed BEFORE installing/testing what the trial period is and how much it will cost to use! Even now after days of testing (before the trial period ends) it’s not clear how payment works, guessing after 5 days the extension will disable in someway and I’d have to pay to use it. I’m guessing it’s a 5 day trial because if you go to the License Check page and enter random Twitter account names the ones that have never used Robotwity are listed at 5 days (using the number of days left IF they started a trial now). 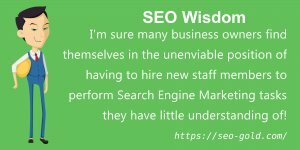 Interestingly I checked a few well known SEO Twitter accounts like @Moz and @randfish and the @Moz days kept changing, suggesting they use this Chrome extension? Obvious privacy issue here, anyone can check if a Twitter user uses Robotwity! Update: Confirmed it’s 5 days trialware, after day 5 this notice appears when trying to use the Twitter extension. There’s a steep learning curve to use this Twitter extension and the YouTube video instructions aren’t in English so not that useful and the extension is prone to stop working at anytime (let’s just say it’s temperamental): note I couldn’t get it working in Incognito (privacy) mode. The concept behind the Twitter software is awesome (real shame about the problems), after activating Robotwity log into your Twitter account (in Desktop mode) and in the bottom left hand corner is a couple of links, one to the tutorial video the other (the “Use it now” link) opens a new tab to the Mobile version of Twitter: the Mobile Twitter page is where you do most of the work. 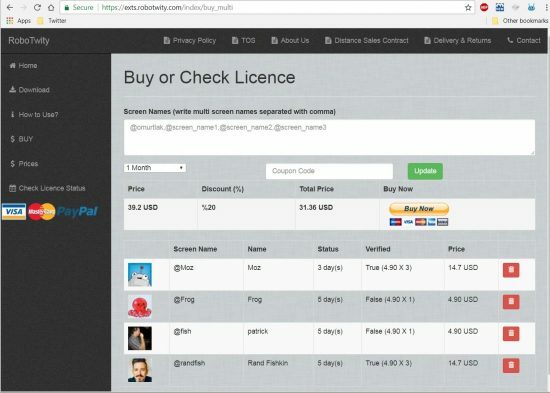 “Pool” : Set to “Collecting ON”, but it doesn’t do anything until you’ve set some Twitter accounts to grab other accounts from (see below). This collects Twitter accounts the “Follow Status” feature uses when “Follow On” is set. “Unfollow Status” : Set to “Unfollowing Off” – when set to “Unfollowing On” it should use settings set via the “Settings” options to unfollow accounts that haven’t followed for between 1 and 4 days. This feature is partially broken and unfollows all Twitter accounts not following back. “Follow Status” : Set to “Follow On”, but doesn’t do anything until there are accounts in the “Pool”. 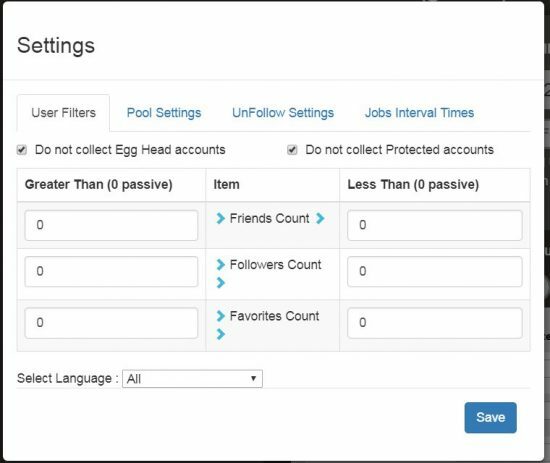 Basically Robotwity puts accounts in the Pool and the Follow Status feature follows them. First step is setting suitable settings, if you follow/unfollow too many accounts quickly your account could be banned. 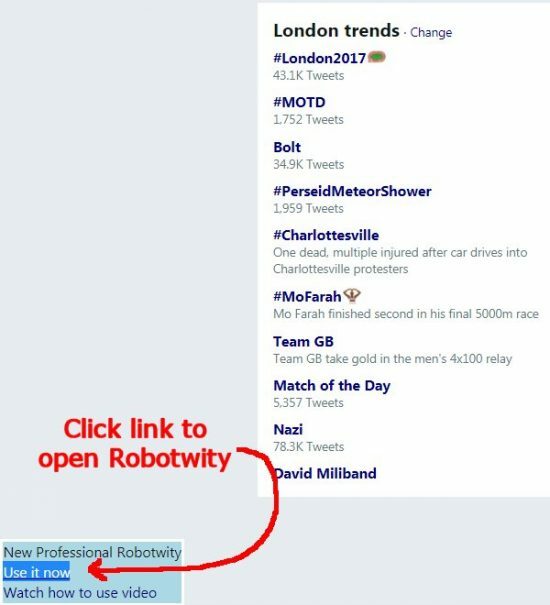 Click the Robotwity Settings link. 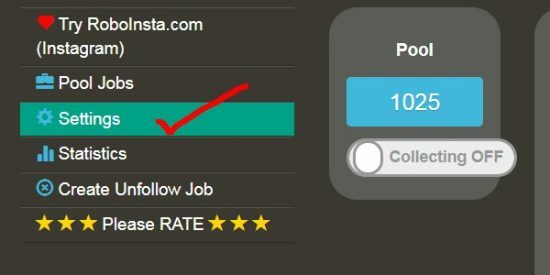 After clicking the Settings link you’ll have 4 tabs of settings to go through, be aware they are saved on the fly, so if you tick under the Unfollow tab the “Enable auto UnFollow” box, Robotwity will start scanning the number of followers that’s set and if “Unfollowing On” is set on the main page it will start unfollowing immediately. The above Robotwity Job Interval times are on the conservative side, but still could add up to a lot of automated activity. 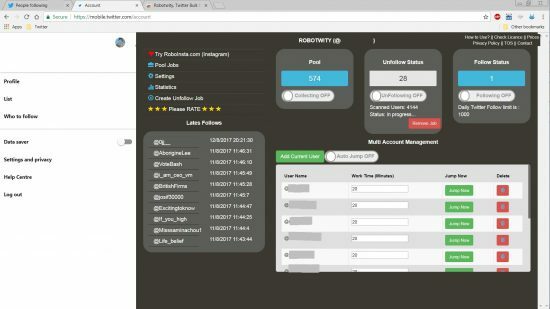 If you follow 900 accounts and unfollow 1800 accounts everyday I think you’ll get your account banned, so use Robotwity wisely. I know where the theoretical Twitter limits are for following/unfollowing per day, BUT each account is different and best to err on the side of caution. I try to keep below 300 follows a day and 500 unfollows per account. If you check your account everyday you should be following more than you unfollow most days. 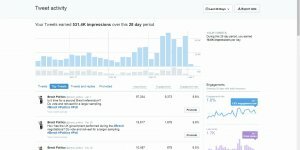 Next step is adding Twitter accounts to the Pool, to do this switch back to the Desktop tab of Twitter and find at least 10 relevant accounts with a significant number of followers: if you aim for accounts with 10,000 plus followers you should be able to add plenty of accounts to the Pool to follow. 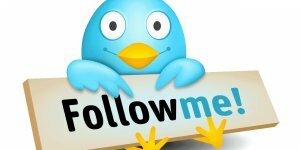 After visiting at least 10 Twitter accounts with a decent number of followers and after clicking the “Collect From Followers” button for each account you’ll have a bunch of Twitter accounts to collect new followers from. Without this step NO accounts are added to the “Pool” and so Robotwity has no accounts to follow automatically. 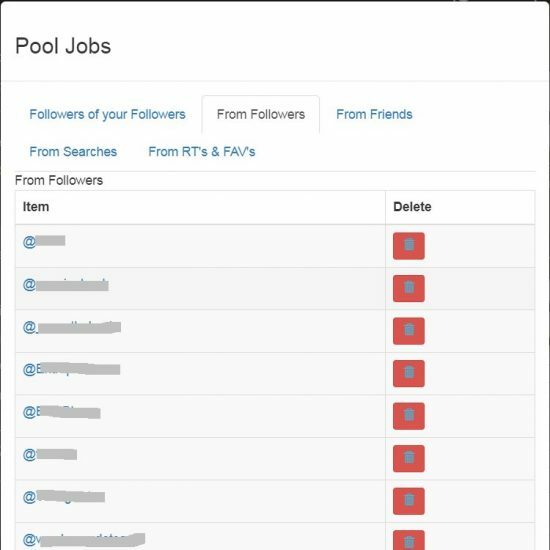 On the mobile Twitter page click the “Pool Jobs” link to see the Pool source Twitter accounts. What should happen now is as long as “Pool” is set to “Collecting ON” the Pool should keep filling/refilling and as long as “Follow Status” is set to “Follow On”, Robotwity should follow new Twitter accounts. I found the extension to be temperamental, sometimes would take multiple refreshes for something to happen. When trying to add new Twitter accounts to the Pool I found on some accounts the “Collect From Followers” button never loaded (couldn’t use the account), sometimes switching back to the mobile Twitter page then back to Desktop helped, but not always. The biggest issue for me and why I’ll not be buying a Robotwity license when my free time runs out is the broken unfollow feature. 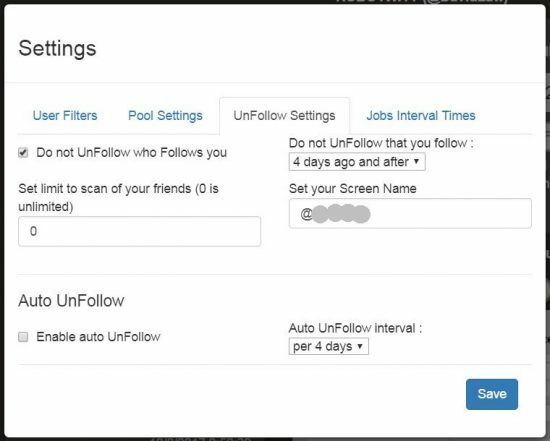 ** To unfollow 100 accounts in 20 minutes, Robotwity has to to be set to unfollow an account every 12 seconds: under “Settings” >> “Job Interval Times” set the “unfollow” option under “Interval Time (Seconds)” to 12. To make this calculation yourself take the number of minutes each twitter account will be managed for (20 minutes in my example), convert that to seconds (multiply by 60), that’s 1,200 seconds, divide by the number of accounts you want unfollowing (100 in my example). Full calculation (20 times 60 = 1,200) divided by 100 = 12 seconds. The above assumes Robotwity works instantly (there’s delays, no idea why) and isn’t temperamental, in reality it won’t unfollow 100 accounts in 20 minutes with the above settings, so probably best to knock a second or two off the setting to take the delays into account (set to 10 seconds). 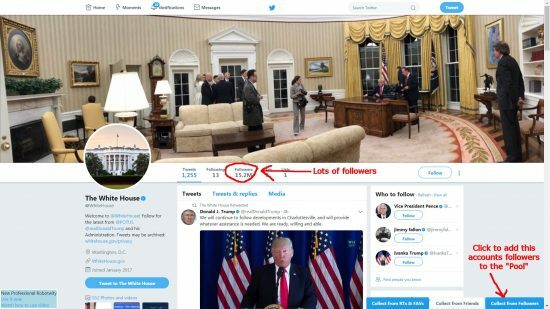 Since the unfollow feature is broken (see earlier about the days being ignored) it’s not suitable for unfollowing Twitter users who haven’t followed back in a specific time frame: you could be adding new followers manually (or via another extension) and Robotwity would unfollow them minutes later! Even if the unfollow feature worked perfectly the temperamental nature of the extension meant sometimes it wouldn’t log into the next account or it would log into the next account, but nothing would work after the switch. 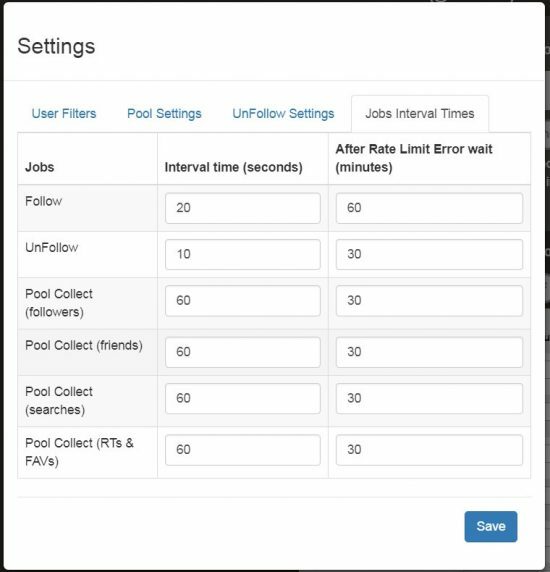 I also tested this automation with following and sometimes the pool wouldn’t fill/refill, so no new accounts were followed! I found I had to keep checking on Robotwity to make sure it was still working, so not as automated as it should be, so I won’t be using it long-term. 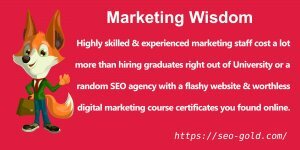 If it worked even close to perfectly it could be a must use Twitter automation tool, but it isn’t.